Enjoy this seductive, enticing blend to honor you. Jojoba seed oil with pure essential oils of jasmine, amyris (also known as West Indian Sandalwood) , ylang ylang and hypnotic Damask rose. Enjoy the sweet floral scent. For best results, use after a bath or shower and smooth on damp skin to provide deep, lasting hydration without leaving a greasy feel. 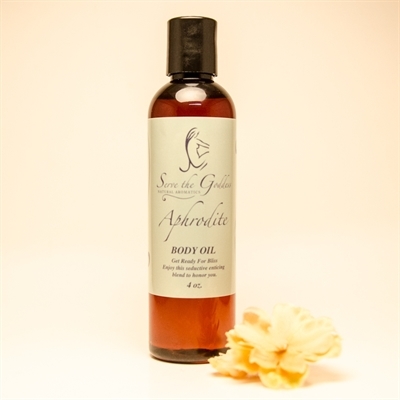 Body oils can also be added to a warm bath for a soothing and fragrant bathing experience.